The bankruptcy of the investment bank Lehman Brothers was the pivotal event of the 2008 financial crisis and the Great Recession that followed. Ever since the bankruptcy, there has been heated debate about why the Federal Reserve did not rescue Lehman in the same way it rescued other financial institutions, such as Bear Stearns and AIG. The Fed's leaders from that time, especially former Chairman Ben Bernanke, have strongly asserted that they lacked the legal authority to save Lehman because it did not have adequate collateral for the loan it needed to survive. 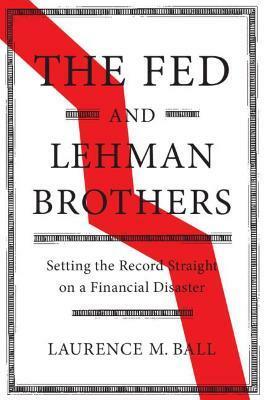 Based on a meticulous four-year study of the Lehman case, The Fed and Lehman Brothers debunks the official narrative of the crisis. It shows that in reality, the Fed could have rescued Lehman but officials chose not to because of political pressures and because they underestimated the damage that the bankruptcy would do to the economy. The compelling story of the Lehman collapse will interest anyone who cares about what caused the financial crisis, whether the leaders of the Federal Reserve have given accurate accounts of their actions, and how the Fed can prevent future financial disasters. 1. Introduction; 2. The crisis of 2008; 3. The legal criteria for Fed assistance; 4. Lehman's balance sheet and solvency; 5. Lehman's liquidity crisis; 6. Lehman's collateral and the feasibility of liquidity support; 7. Fed discussions of collateral and liquidity support; 8. Fed actions that ensured Lehman's bankruptcy; 9. Possible long-term outcomes for Lehman; 10. How risky were the Fed's rescues of other firms? ; 11. Who decided that Lehman should fail? ; 12. Explaining the Lehman decision; 13. Conclusion; References; Endnotes; Index. Laurence M. Ball is Professor of Economics at The Johns Hopkins University. He has previously worked as a Visiting Scholar at the Board of Governors of the Federal Reserve, foreign central banks including the Bank of England and Bank of Japan, and at the International Monetary Fund. His current research topics include the long-term damage from the Great Recession and the case for raising central banks' inflation targets to four percent.